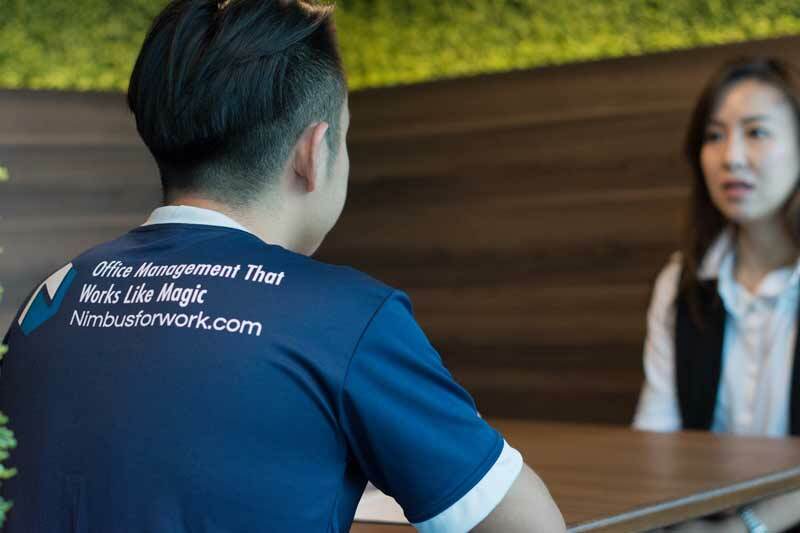 In an earlier article, we talked about estimating the cost of how much commercial or office cleaning cost in Singapore. 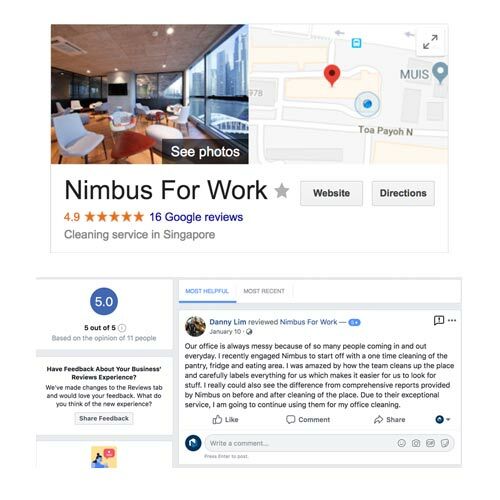 Now that we know the market price range to hire an outsourced office cleaning company in Singapore, it is important to know how to figure out if a local cleaning company or any local services company for that matter is as professional or as good as they say. After all, you are looking for substance over form. One way of doing your due diligence is to check for client reviews. An easy screen through is to search the names of all your shortlisted service company and look through their online reviews like google reviews or yelp. However, businesses are increasingly aware of the importance of online reviews to sway buyer’s decisions so be mindful of small sample sizes or ‘fake ratings’. Check the reviews of your providers on Google and Facebook. In professional tendering of contracts, some clients still prefer to ask their cleaning and maintenance vendors for their client portfolio and some of their other client’s contact and testimonials. We think this method would give more service buyers more accuracy although it would take up a longer information-gathering process. A trade-off exists. Nonetheless, given you will be working closely with your service vendor on a daily, weekly or monthly basis, it seems sensible to make that upfront investment. In doing a request-for-quotation (RFQ), it is tempting for office managers to request for quotes via email and go straight to the cheapest price quoted even before talking to the vendor. (2) you get a better assessment of the value you are getting. Both (1) and (2) are related. Meeting prospective vendors: Take the opportunity to know if your maintenance company has serviced similar clients to your company before. This is a good gauge of their service experience and if they have done similar work. Have a chat with your provider first before making any commitments with them. Face-to-face interactions are spontaneous and cannot be curated to appease potential clients unlike emails and text messages. Ask them what differentiates them from their competitors and what to expect if they were to take care of your office space. A lot of information about their service expertise be gained just from observing how they conduct their site inspection. In the case of office cleaning, for example, does the vendor straightaway talk about the price per headcount or does the service provider ask relevant questions (what is the office hours and when is traffic most heavy etc) that helps him/her to understand your workspace needs? Through your conversations about the space, you can gauge the expertise of your cleaning vendor. Talk to your service provider to understand what other value you are getting beyond the cleaning and maintenance work. Some companies, for example, provide their clients with organic air fresheners or cleaning supplies. Satisfaction warranty is rare but they can also be useful to assist you in deciding if a company is serious about its service. Such warranty allows you to ask for a ‘re-cleaning’ of a place if you are unhappy with the result. One example can be found here. 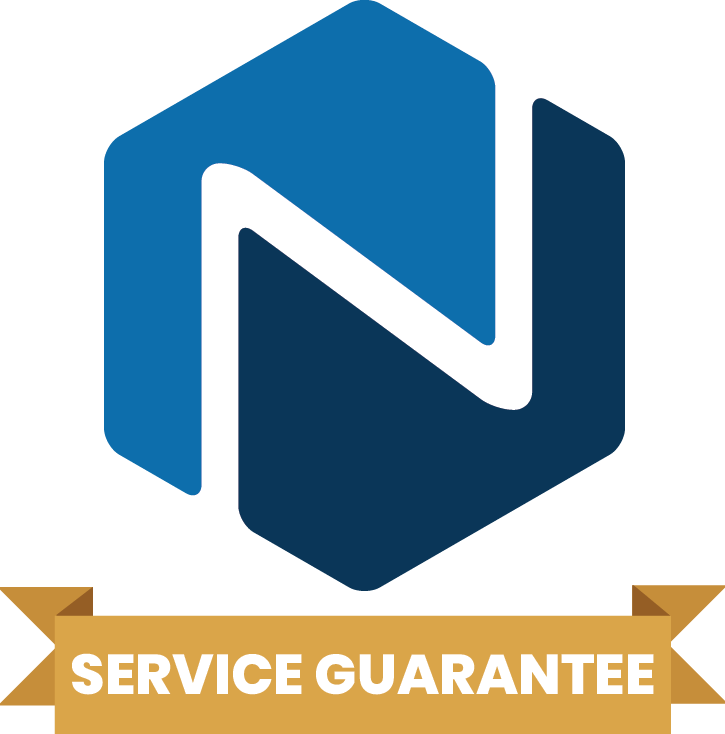 Service Guarantee does not only provide you value if things go wrong it also communicates the providers' confidence in executing the service. In getting a price quote, it is important for office managers to pay attention to the way the vendor has planned the timing and job scope of the worker. A professional service provider should also be able to conduct specialised services that require more complex machinery and tools like Rotowash or Scrubbers. Some of those services required for your office could include a periodic carpet care, upholstery cleaning, glass and deep cleaning. Unlike traditional cleaning companies, at Nimbus, we also go beyond specialised cleaning and provide a complete office management solution including landscaping, pest control and pantry supplies. Our office management dashboard also helps to give office managers accountability in their workspace. Below is a free Quiz to help you figure out if you are getting the information you need to make an informed decision.